I’ve been obsessed with ginger lately. I love the boost of flavor it brings to a dish and I seem to be adding it to everything. Why not add it to a drink? I love ginger beer. I knew I would love it in other drinks. I’ve also been building my liquor cabinet and playing with drink recipes lately. My father has always been the bar master in my home growing up. He has a knack for creating amazing cocktails whenever the family entertains. I try to do the same in my home. My usual drink of choice is a gin & tonic. My gin of choice is Bombay Sapphire. Though I am also known to get creative. Like I did with my Frozen Cantaloupe Mojitos, I like to play with flavor. I was in a martini mood, but wanted to go outside of my typical Dirty Gin Martini. I mean, I love olive juice, but you have to be in the mood, you know? I’d been craving sweets all day and I had an excess of lemons in the house. Usually when we have extra lemons in the house, we tend to make some lemonade for the kids. I decided it was my turn to enjoy the bounty this time. 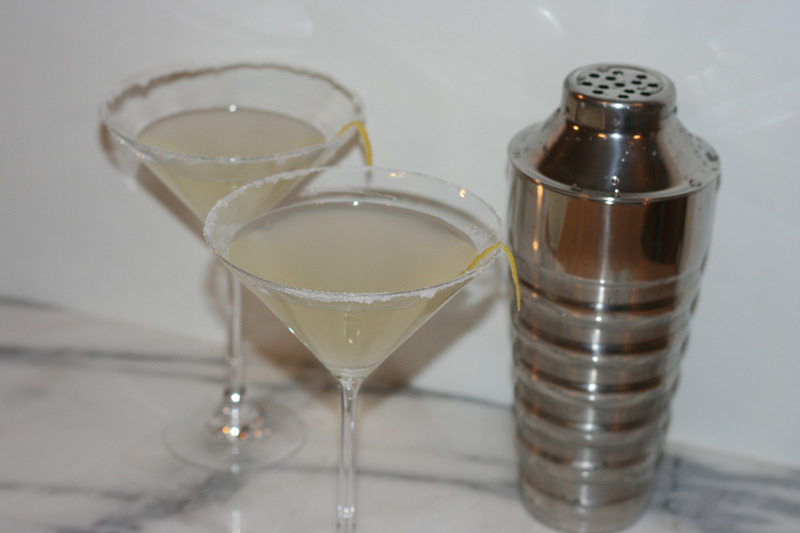 I decided to make a lemon and ginger simple syrup and make a slightly sweeter gin-based martini. I juiced 4 lemons, zested some lemon peeled and cut up some ginger and then stirred it in to some water and sugar. I heated everything up and let the sugar dissolve, while letting the flavors combine. 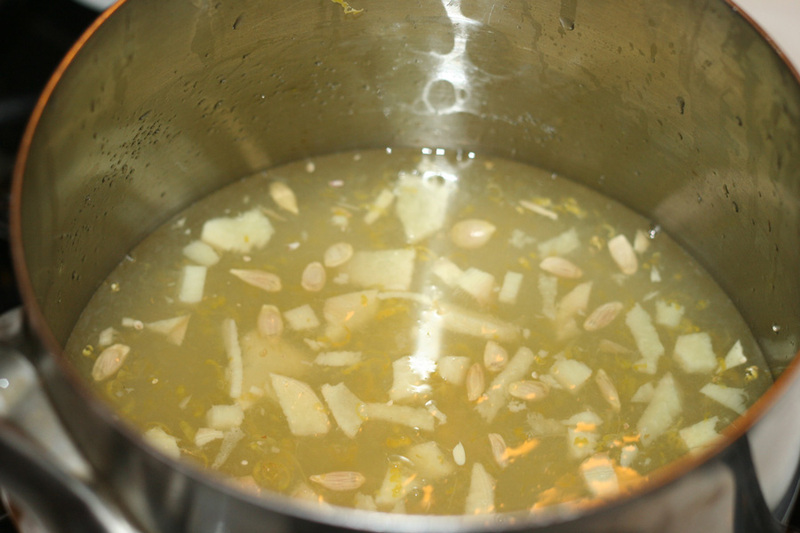 Once the sugar had dissolved and the lemon ginger flavor was well infused, I strained the simple syrup in to a bowl. I let the simple syrup cool. 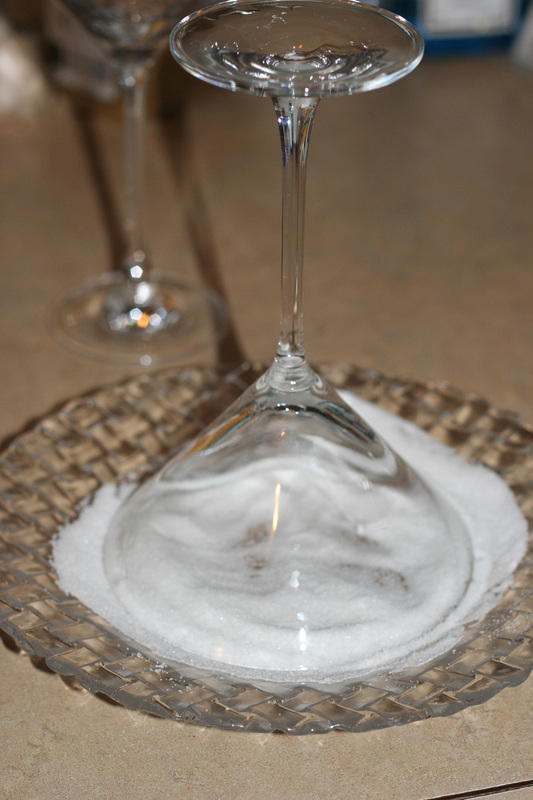 While the mixture cooled, I rimmed my martini glasses with some sugar. Once the simple syrup was cooled down, I placed some ice in my martini shaker, added about 1/3 cup of the lemon ginger infused simple syrup and then added around a half cup of gin to the shaker. 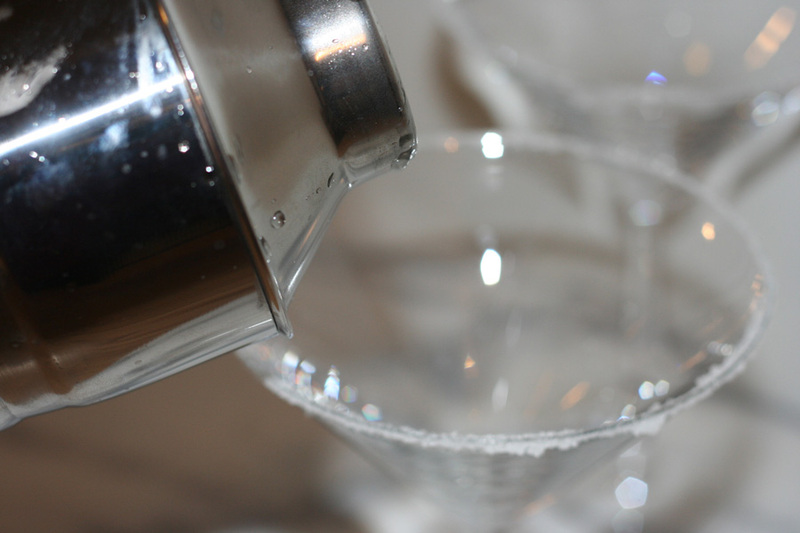 I shook everything and then pour the mixture in to my prepared martini glasses. I also garnished the glasses with some extra lemon zest. I couldn’t wait to taste the martini. 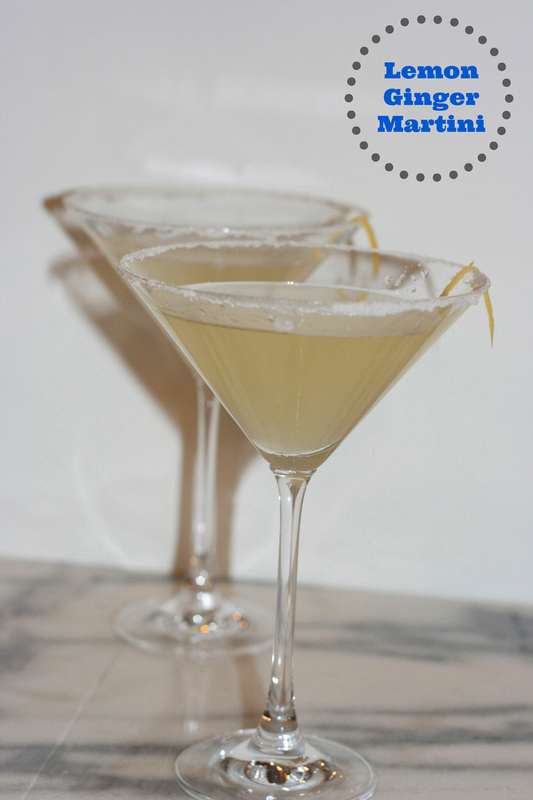 This lemon ginger martini didn’t disappoint. Amazing! If you’re not a gin fan, swap it for vodka. The drink is fantastic and I encourage you to try it. I recently received a cantaloupe in my organic fruit co-op. I wasn’t quite sure what I would do with it. 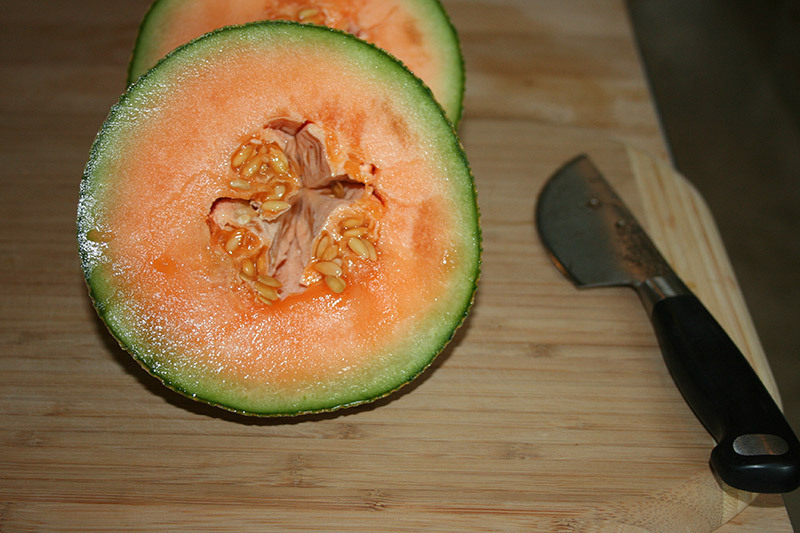 My kids aren’t the biggest melon fans, so I knew I couldn’t just slice it up and serve for breakfasts. I cut it up in small pieces, bagged it up and placed in the freezer. I figured that I would use it for a smoothie or something along those lines later on. Later that evening though, we had some impromptu guests and I decided to see if it would work in an adult drink. My favorite summer drink is a mint mojito. I have a crazy amount of mint growing in my herb garden. In past summers, my frozen mint mojito has been a huge success. I decided to experiment with the cantaloupe thrown in and was very pleased. While the cantaloupe pieces sat in the freezer, I went outside to pick some mint and made up a small batch of simple syrup. 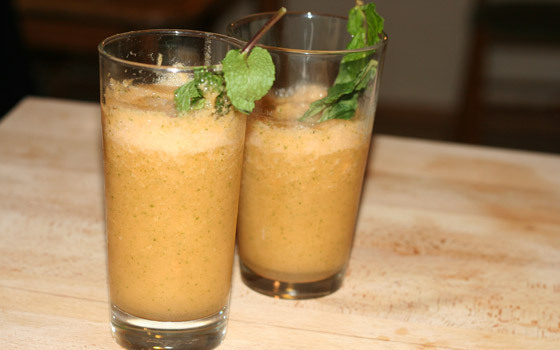 I placed the frozen cantaloupe in my blender along with some fresh mint leaves, some lime juice and simple syrup. I muddled the mixture a bit. I then added a few ice cubes and some Bacardi white rum. I knew then that it would be great! I blended everything together until it was the right consistency. I tasted a bit to see if it needed anything. It was perfect. I then served with a garnish of mint leaves. I definitely need to make these more often! 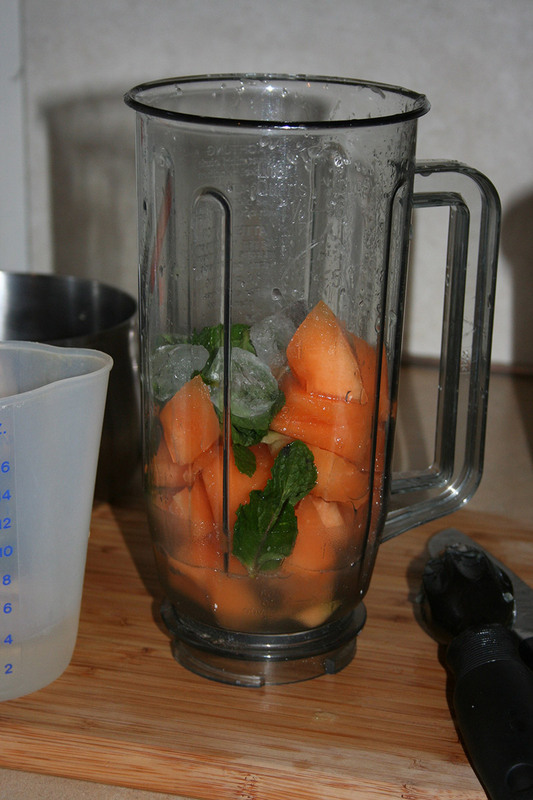 Place the mint leaves, the cantaloupe, the lime juice and the simple syrup in the blender. 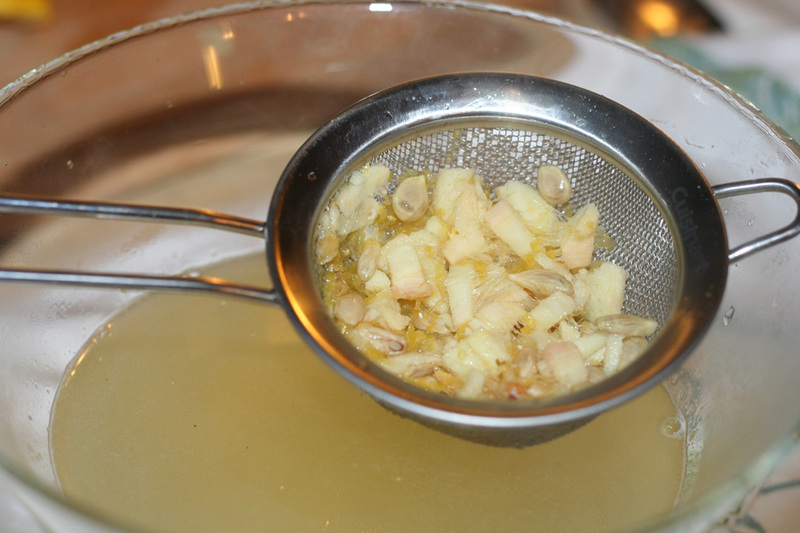 Muddle the mixture a bit to bring out the flavor. Add in the ice cubes and rum. Serve and garnish with extra mint leaves.